As its name implies, this stunning double-cutaway guitar is a red-hot blues machine. Its beautifully hand-carved Korina (African Limba) body is stained a transparent burnt cinnamon colour which shows off the attractive grain pattern to good advantage, while its deep cream coloured pick guard further enhances its appearance. 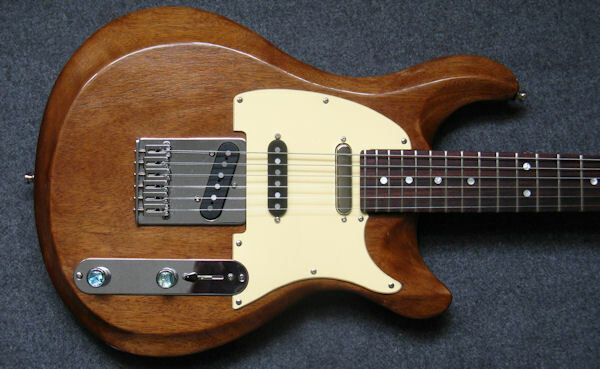 You can see and hear this beauty at the 2012 Montreal Guitar Show! Master volume control, master tone control and 5-way pickup selector switch. 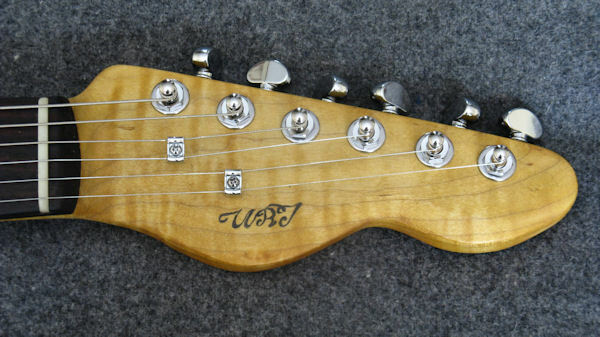 The middle pickup is reversed-wound for hum canceling in position 2 and position 4. 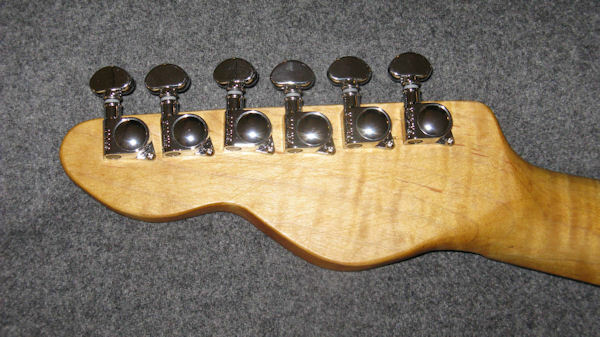 A push/pull switch on the volume control pot allows the player to select both the neck pickup and bridge pickup simultaneously or all 3 pickups (neck, middle and bridge) together. 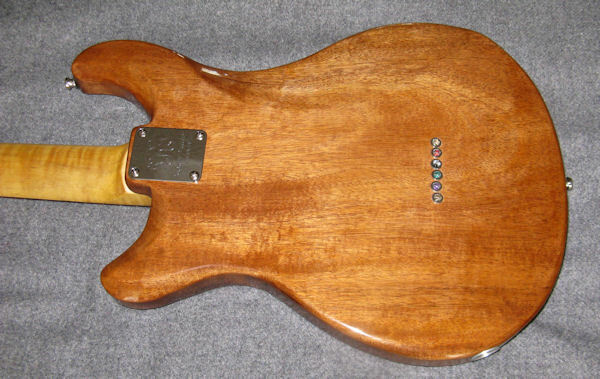 Finished with non-toxic, environmentally friendly ColorTone Waterbase Professional Guitar Lacquer.